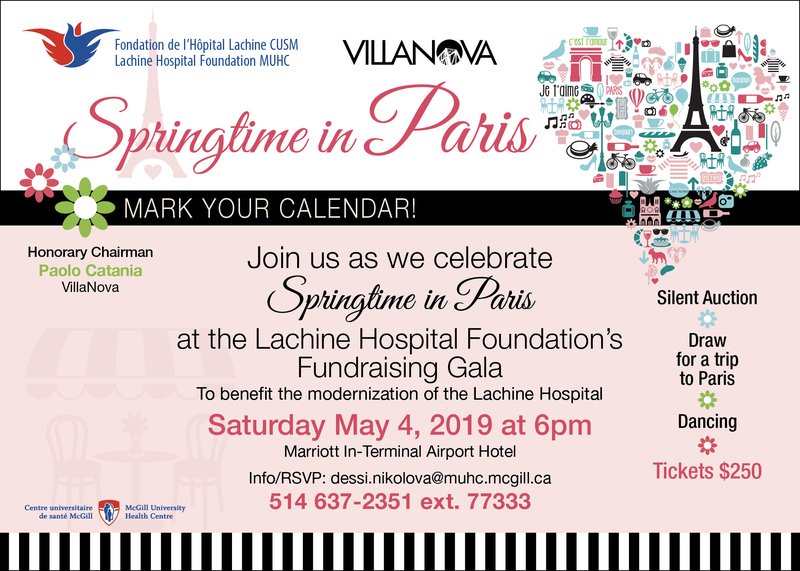 It is with great pleasure that we invite you to participate in the Lachine Hospital Foundation’s spring gala taking place on Saturday, May 4th, 2019, at the Marriott In-Terminal Airport Hotel. This year’s event is one that is not to be missed as we pay homage to Springtime in Paris – one of the world’s most exciting cities! The Foundation is proud to announce that the Honorary Chairman of this year’s gala is Paolo Catania. Mr. Catania is the chairman of Développement Lachine Est which is currently building VillaNova, a huge residential and commercial project in Lachine. Over 400 people are expected to attend this much-anticipated evening which will feature a delicious 5-course meal, live music and dancing, a silent auction and much more. 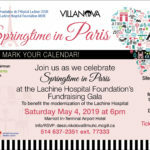 Proceeds will go towards the purchase of modern medical equipment in an effort to fulfill the Foundation’s mission of making the patient experience at the Lachine Hospital as efficient and comfortable as possible.